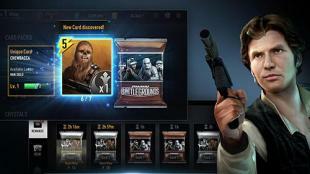 Star wars: Battlegrounds - gather a team of popular characters and take it into the battle against powerful enemies. Apply unique skills of each hero. 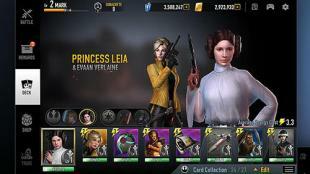 Get ready for a new meeting with your favorite saga heroes such as Leia, Luke Skywalker, Dart Vader and many other. 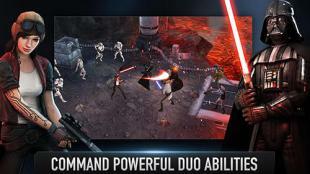 Select your side in the war between brave rebels and powerful empire. Gather a squad of heroes which will power up each other during the battle. Control members of the squad in the fights. Develop and power up characters. Increase your personal rating.